Who once picked up my parcel from its destination (my nans house,along with several other things) took its sweet time in arriving. I can’t express enough that Dollibox had nothing to do with this, they sent my package within a few days and it arrived within a few days. It was the person picking up my package to bring it to me abroad who was the problem. Dollibox is a monthly subscription service, where you receive 5 personalized beauty samples, tailored to your needs. Dollibox costs 10 pounds a month, plus postage and packaging. There are deals where you can sign up for longer periods of time and get your dollibox cheaper but you can check that out here. Dollibox is only currently available in the UK but, hopefully soon they branch out to the US. This little pot retails at around 14.00 GBP which is a huge saving from using the Dollibox service. It”s something I loved from the box as obviously I am a huge makeup fan (duh!). I love how soft this cream to powder trio is and how easy it is to apply. The colors are perfect for my skin tone and it makes an awesome addition to my collection, so thanks for little gem that dollibox! This repair mask is a 100ml tub and retails for around 3.00 pounds. I have yet to use this hair mask but, it smells incredible. I can’t put my finger on the exact smell but, in the handy little pamphlet included inside the Dollibox it says ‘ingredients include extract of jojoba, patchouli oil and ylang ylang’. It smells a little ‘coconuty’ with a hint of ‘fruitiness’, but I am terrible at explaining scents! This tub claims to restore moisture and elasticity to your hair. Once I give it a go I will be sure to let you know an in-depth detail about this product but, from the reviews I’ve seen online it looks like an amazing product. This foot sachet retails at around 1.50, which is incredible for how silky smooth it will make dry, cracked feet. Now, I am not the biggest fan of feet. Feet in general, including my own make me squirm. I rarely, rarely apply foot cream or pay any sort of attention to my feet, apart from painting my toe nails. I probably won’t use this foot cream but I will definitely give it to my mum who I know will love it. If the Dollibox was tailored to me, of course it wouldn’t have included this so, I am not complaining whatsoever! It smells of Lavender and mint, which is so refreshing and will make your feet amazingly soft. And my Dollibox also included a 20% off code if I wanted to buy anything else from the freeman’s range. This retails for around 12.00 pounds and I was actually incredibly surprised. I didn’t really think much of this product when I first saw it, I thought it was going to just be a ‘filler‘ but, my god it was so soothing and so nice. I have heard of Anubis a few times but, never really associated the two until I did some research this morning. This mousse is incredible and one of my favorite things I received inside my dollibox. It ‘reduces uneven skin tone, minimise fine lines and wrinkles, improve elasticity and gives you a radiant glow‘ Not only that it ‘ ultilises orange stem cells to fight free radicals, protecting skin from premature ageing and stimulating collagen‘. It’s jam packed with vitamin C and once I used it I noticed a huge difference with my skin. It was so soft and glowing. I adore this product and I will definitely be re-purchasing in the future! Retailing for around 3.65 this is a ‘proper soap’. 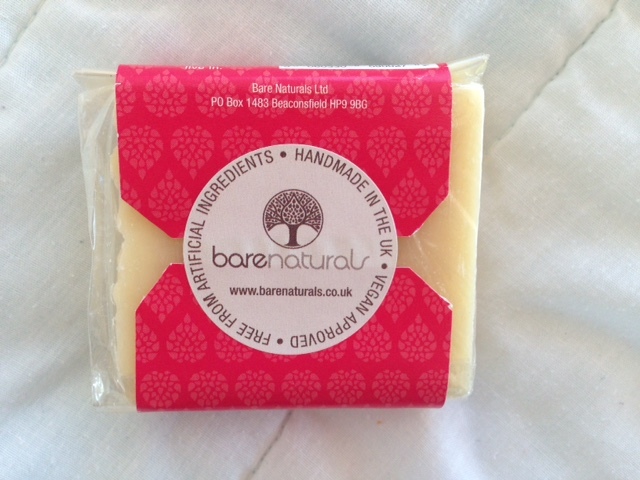 The barenaturals soap is 100 % vegan, 100 % natural and 100 % eco friendly. I do really like the smell of this soap but, it is a little overpowering. I do prefer less ‘smelly’ soaps but, considering its greatness I love it. It’s ideal for all skin types (yay!) and it ‘ensures skin is left cleansed, nourished, revitalised and energised‘! It’s also handmade which I love and it come in this adorable pink packaging. Overall I am over the moon with my Dollibox! Considering it wasn’t tailored to me (because I won it) it was virtually spot on with everything I would of loved. I loved the packaging and the helpful note that came with it, explaining each product and stating its retail price, that’s something I found very interesting. Dollibox is a fantastic monthly subscription box and is reasonably priced too. If anyone from Dollibox is reading this, thank you so much for my December box! I hope you conquer the US with your fantastic little pink box full of goodies! I hope you enjoyed my Dollibox Review if you did please let me know in the comments below and you can also check out my other reviews by clicking here!